Last week was a big step forward in the history of open company data, with the formation of the Global Legal Entity Identifier Foundation, which will oversee the global system of Legal Entity Identifiers, and ensure that the system is run in the public interest, carrying out the G20 Recommendations that set up the system. The LEI is a system of uniquely identifying participants to financial transactions, and what makes it so important is that the identifier, and the information associated with it follows open data principles, allowing it to be used without limit on use or redistribution. We’re also proud to announce that OpenCorporates‘ Co-Founder & CEO, Chris Taggart, has been appointed a member of the Foundation’s board of directors. Not only is Chris a prominent advocate for open corporate data, he has also played an active part in the LEI system for over 2 years, being part of the Industry Advisory Panel that helped advise on the G20 Recommendations, and the Private Sector Preparatory Group that succeeded the panel. 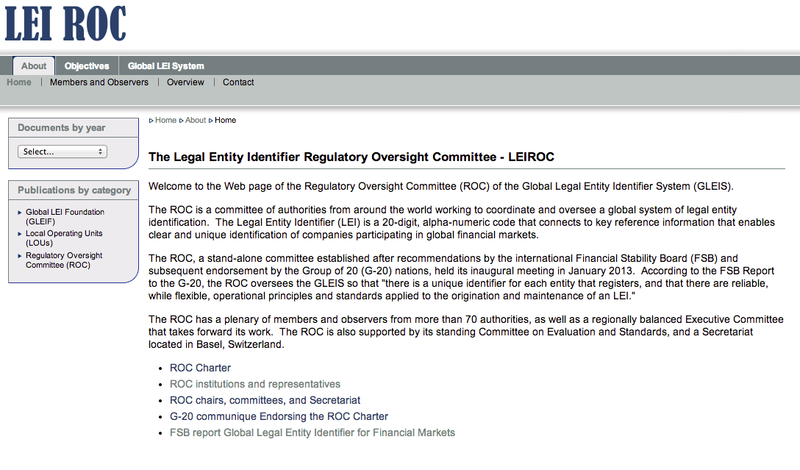 There are already close to 300,000 Legal Entity identifiers in issuance, and its use as the primary identifier for entities has already mandated by several financial regulators. Previous Post Ruby and Python coders – can you help us?